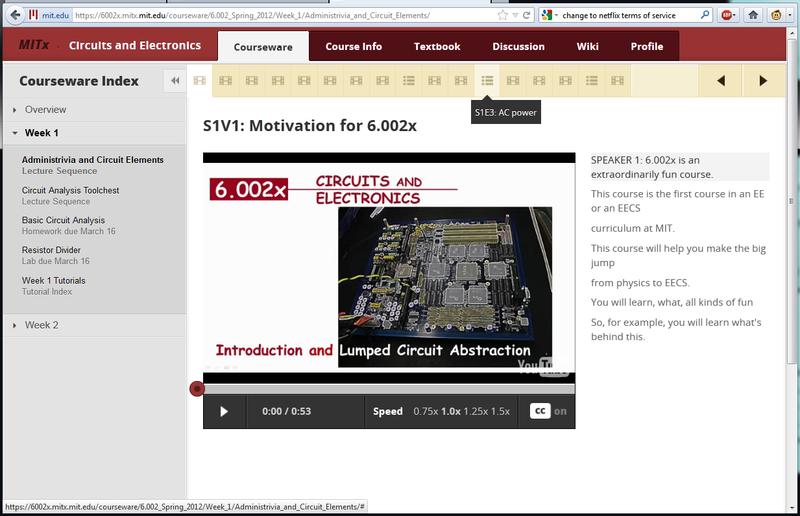 This course does have a recommended text book (Foundations of Analog and Digital Electronic Circuits by Anant Agarwal and Jeffery H. Lang), however for this class they are providing the relevant excerpts of the textbook to you directly through your web page. It might not always be the case, but at least for now you don't have to buy the text book separately. Anant also happens to be the professor for this course. The text book tab on the main webpage allows you to thumb through pages using a next/previous set of buttons at the top and bottom of the page, as well as jump to specific chapters using a left hand navigation frame. It is also possible to link to specific sections of the text book through the discussion and wiki parts of the site. Each page seems to be an image of each individual page from the text book itself. Unfortunately several of the pages make comments to diagrams that show up on the next or previous page, and you can only view one page at a time. The controls for the text book are a little lacking as well. More then once I tried hitting the back button on my mouse and got sent back to the Course Info page rather then going to the previous page of the book I just read. Each time I would have to go back to the text book, click on my chapter and thumb through pages until I found my place again. It would be nice if they had hot keys set up for the pages, or there was an easier way to browse it. I wonder if they may make a tablet based version which would allow for touch screen interaction. The only way to change the size of the text was to change the size of the text for the entire browser (ctrl+mouse wheel). Making the text big enough to read comfortable meant I had to scroll up and down at the end of each page. Getting to use the text book for free online is a pretty nice luxury, and this may not always be the case. But it would be nice if they cleaned up the controls of this a little. Two of the most important 'handouts' on the Course info section are the syllabus and course schedule. The syllabus helps introduce the course subject and lays out the structure of the grading and administrative aspects of the course. 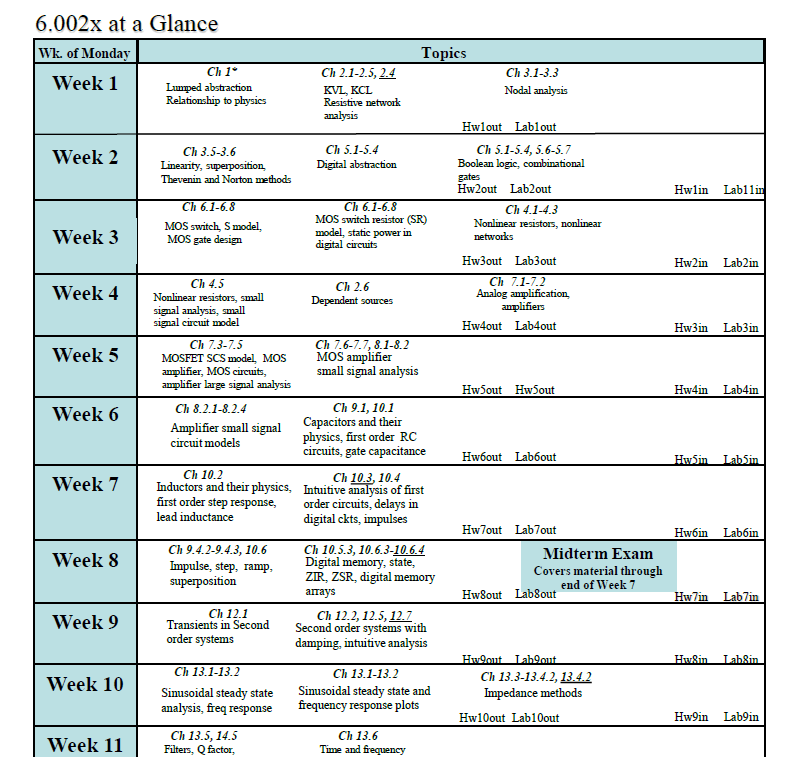 It is the same type of syllabus you would see in any other University course. The schedule list out all 14 weeks of the class to come. For each week it list the title of the lectures, the required readings, and which assignments are due. There are also huge bold lettering pointing out the midterm and finale exam for the course. The schedule is pretty important for making sure you are keeping on top of what is required of the class. The Courseware section is where most of the content for the class is delivered. On the left hand of the screen is a navigation drop down where you can open up each individual week of the class. 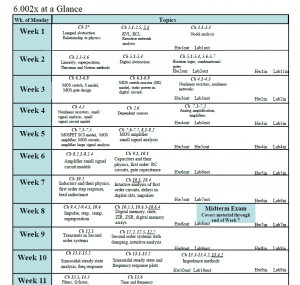 Each week consist of links to the lectures, assignments, and tutorials for that particular week. Each lecture contains a series of videos, broken up into individual sections which can range anywhere from 1 to 10 minutes long (11 minutes is the largest I've seen so far). All of these individual videos are meant to be part of the same talk so they are separated by tabs which appear at the top of your page just under the navigation bar. These tabs allow them to intersperse exercise sheets or a few text based examples in between the videos to help break up the talk. In several cases I've seen the break between video segments used as an invitation to have the student think about the concept before the professor spells it out for you in the next slide. The videos themselves come with several nice features. The most prominent of which is the interactive transcript. Much like the interactive transcripts for various TED talks, the right side of the video contains a written transcript of what is being narrated within the video. Each sentence of the transcript is highlighted as it is being spoken in the video, so if you are having trouble understanding a teacher you can quickly read what they are saying. You are also able to click on any part of the transcript and the video will jump to that part of the talk, in case you need to go over a specific section again. The videos also give you the option to slow down or speed up the video (between 0.75x to 1.5x speeds). I've already used this feature out in a few places with content I was fairly familiar with and it was quite helpful and speeding things along. The voices are still relatively easy to understand, and this feature could also help if you come across a teacher who happens to have a particularly slow or fast speaking style. At the bottom of each lecture is a link to the related text in the textbook, and also links to both clean and annotated version of the slides used in the talk for students to take notes on. Some of the tabs in a lecture section include written exercises, which give the student the chance to work on some problems related to the material in the videos. These exercise questions are entirely optional and are not graded. Students can instantly check their answers, or click to be shown the answers for specific problems. All of the video sections and exercises are also indexed on the page (example: S1V1 for seminar one video one, or S1E4 for seminar one exercise four). It is fairly easy to refer to these indexes on the discussion page so that students can collaborate and ask about a specific problem or video concept. In the first lecture/seminar, there were 17 different tabs which contained 14 videos and 3 written exercise sections. The total running time of the videos was about 1 hour. One of the biggest problems with online learning is having the chance to get immersed in the subject, or put what you learn into practice. To this end, MITx has worked out a way to create a interactive lab area which emulates what would happen in the real world. For the purpose of a course on Circuits and Electronics, this means a sandbox in which to create various circuits. This lab was something they explained how to use in detail within the tutorial section of the site. In this case, the Lab consist of a grid based window that is embedded within the html of the page. On the right are a number of circuit board parts which can be dragged onto the grid and connected to form a model of real life circuits. Double clicking on certain parts allow you to adjust settings such as the voltage or resistance for those parts as necessary. The lab also consist of several means to 'test' a circuit by measuring its results and outputs at various points. In addition to using these labs as parts of demonstrations, they also act as some of the work you are required to do in the class for a grade. 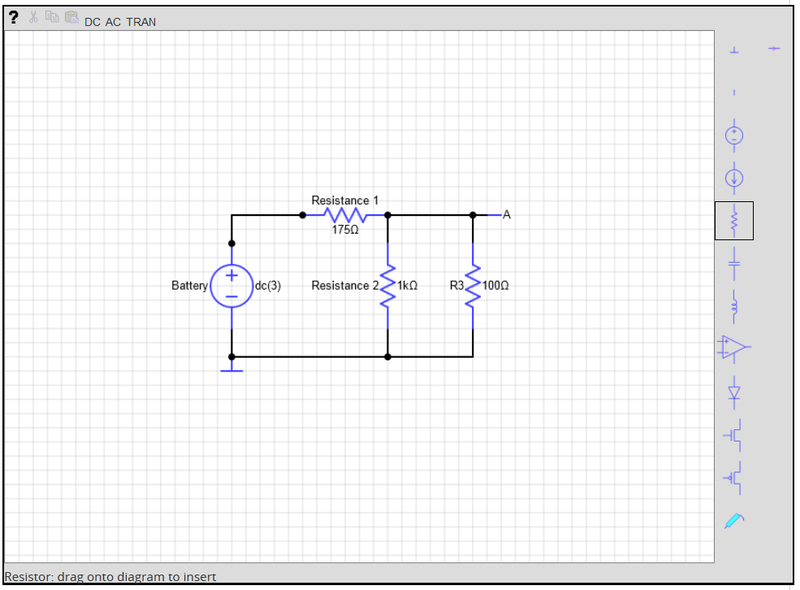 Students are asked to build a specific circuit, or to give the outputs for what happens under a certain configuration. The circuit sandbox is also built well enough that it can be used and inserted to wiki pages of the course as well, in order to demonstrate specific context to the students. 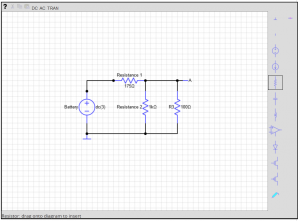 Any user can create and save a circuit diagram that can then be used in multiple pages of the wiki. Once they start adding more classes, they are going to have to add more robust labs and exercise areas. But creating this kind of complex virtual lab and feed back system is a great step forward from the type of exercises Khan Academy were already offering. The homework page uses the same style as the lecture exercises, only without the ability to see the answer. Each homework is split into several multi part questions, that are each self contained in their own box. You can check each of these boxes individually to see if your answers are correct or not, and also clear all of your answers and start over if you need to. Clicking the check button also saves your answers to the page, so you can come back later without losing any of your work. In a previous version of the systems, MIT had set it up so that students would only have a limited amount of 'guesses' at the answer. In this system you could save as much as you want, but only use the check button a set amount of times. Eventually they removed that in favor of a system where students could enter answers as often as they want. While this does mean that students could simply keep 'guessing' until they hit the right answer, they claim to have ways to check for that on the back end of the system to prevent abuse. Another reason why they might have made the system this way is because of confusion about answer input or syntax given the automatic grading system. They wouldn't want to have honest students punished by an ambiguously defined answer format (does it want me to include the units or not?) and some users were expressing confusion with the two button check and save system so the system was simplified. Homework only counts for 15% of your grade anyway and the lowest two are dropped. For this class, homework is due the following Sunday after it is assigned, meaning you have two weeks to do it, but will have overlapping homework each week if you let them pile up. Students don't actually have to 'submit' their homework; whenever they hit the check button their answers are saved to their account. Once the due date has passed, students can no longer change their answers. The feedback for the homework happens instantly, so even if you only answer part of the homework you can see the correct answers and completion show up in your profile. If you answer 2 out of the 10 questions, your HW1 will read at 20% in your profile even before the due date. 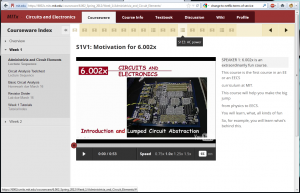 In the third part of my review, I'll actual comment on the specifics of 6.002x (Circuits and Electronics) and how I've dealt with my first week of classes. This entry was posted in Education, Project and tagged Circuits and Electronics, Education, MIT, MITx, Open Source, OpenCourseWare. Bookmark the permalink.